The Garner Family: Happy Birthday, Randy! Today is Randy's birthday and we want to wish him a very happy birthday and thank him for being such a wonderful husband and father. We love you! A picture of Randy and I from a couple of years ago. 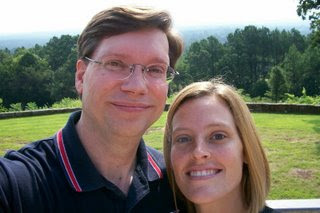 It was hard to find a picture of just the 2 of us! 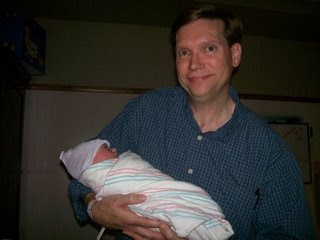 Holding Brady the day he was born. 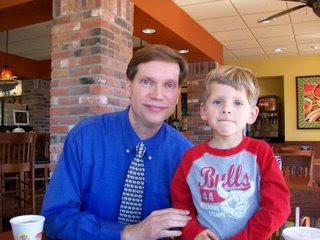 A sweet picture of Randy and Dawson at Schlotzsky's. 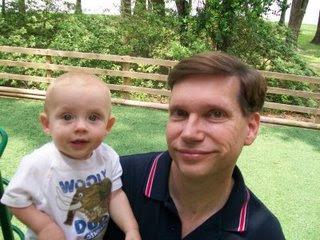 Randy and Brady at the park. 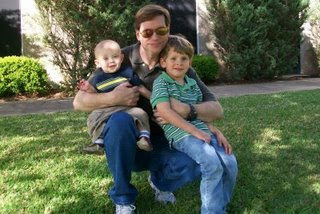 A picture of the 3 Garner boys taken at Easter. 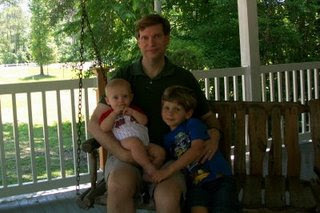 Sitting on a porch swing together. These are great! Hope you guys are having a great birthday weekend!